Make yourself at home in one of the 50 air-conditioned guestrooms. Complimentary wireless Internet access keeps you connected, and cable programming is available for your entertainment. Private bathrooms with bathtubs or showers feature designer toiletries and hair dryers. Conveniences include phones, as well as desks and complimentary newspapers. 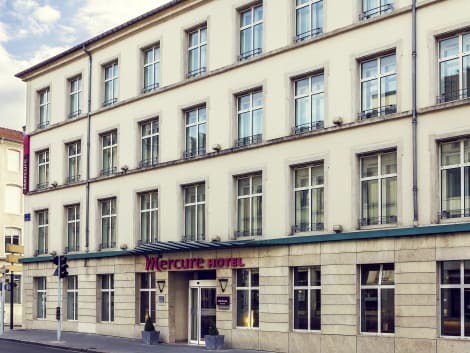 Set just three kilometres from the central railway station in Nancy and five kilometres from the A31 and N4 connecting to Strasbourg and Paris, this modest hotel provides a comfortable stay for both business and leisure travel. 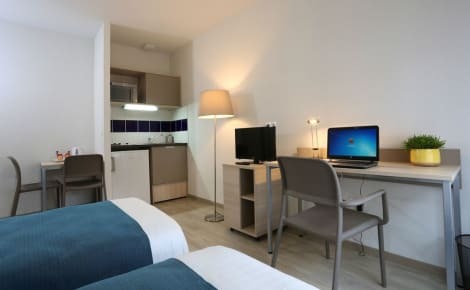 The city centre is just a ten minute drive away with its beautiful Place Stanislas, Museum of Fine Arts, and Museum of Lorraine, and families might enjoy a trip to the city's aquarium or the botanical gardens of Montet, just a fifteen-minute drive from the hotel. The cosy rooms come with private en suite bathroom with toiletries and soundproofed windows to ensure a good night's rest. Guests can wake up to a continental breakfast in the breakfast room, with options including pastries, yogurt and fresh fruit, and the front desk also offers take-away sack lunches. 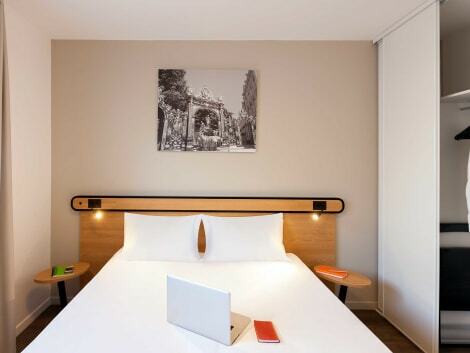 For a family holiday or business trip, this hotel's functional rooms and convenient location make it a great choice. You can take your meal in one of our restaurants partner, within walking distance, order sack lunch for sale at the desk or make you deliver your meal in room (more information at the reception)Discover our double and triple comfort rooms.Recently renovated, they offer new bedding and a courtesy platter with electric cattle and coffee set is at your disposal. Featured amenities include complimentary newspapers in the lobby, multilingual staff, and laundry facilities. A train station drop-off service is provided at no charge. Make yourself at home in one of the 88 air-conditioned rooms featuring flat-screen televisions. Complimentary wireless Internet access is available to keep you connected. Bathrooms have showers and hair dryers. Conveniences include phones, as well as desks and coffee/tea makers. Make yourself comfortable in this accommodation, featuring a kitchenette with a refrigerator and a microwave. Complimentary wireless Internet access is available to keep you connected. Conveniences include a desk and complimentary newspapers, and housekeeping is provided weekly. Stay in one of 43 guestrooms featuring flat-screen televisions. Complimentary wireless Internet access keeps you connected, and digital programming is available for your entertainment. Bathrooms have bathtubs or showers and hair dryers. Conveniences include phones, as well as desks and complimentary newspapers. lastminute.com has a fantastic range of hotels in Nancy, with everything from cheap hotels to luxurious five star accommodation available. We like to live up to our last minute name so remember you can book any one of our excellent Nancy hotels up until midnight and stay the same night.